William Pitt was never overly concerned with fashion. By no means could he be classed as a dandy or a macaroni, and he was far from obsessed with looking good and playing the part. To his credit though, Pitt did have good taste in clothing. In the stipple engraving shown above, Pitt is wearing what could be the 'blue cloth Corbeau coat' he had ordered to be made in 1798. In the portrait of Pitt as Master of Trinity House shown above, he is represented wearing the Trinity House Uniform. The coat he requested to be made in June 1798 would have been very similar to this one, although the Windsor Uniform was more elaborate, worn primarily for state occasions, and had gold lace around the buttonholes. 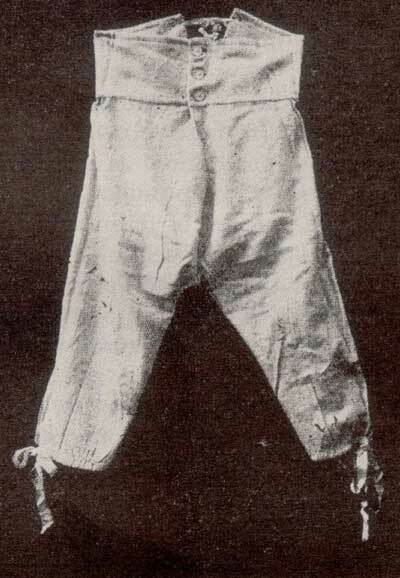 The breeches may have looked similar too. Unfortunately for social historians, no precise measurements for any of the garments are given. Presumably the tailor would have known Pitt's size from previous orders. 1. The National Archives, Chatham Papers: PRO 30/8/215, ff. 169-170. 2. The National Archives, Chatham Papers: PRO 30/8/215, ff. 518-519. Fig 3: William Pitt as Master of Trinity House by Gainborough Dupont (1794). I received permission to photograph the portrait on a visit in 2012. It now hangs on the Quarterdeck of Trinity House on Tower Hill, London. OED defines ‘corbeau’ as ‘In the drapery trade, name for a dark green colour verging on black’ and supports the definition with quotes up to the mid-19th c.
‘Corbeau’ is French for ‘crow’ or ‘raven’, so...perhaps it meant either a blue or green, intensively dyed so that it seemed quite black from a distance, but nearer to might have a sheen of colour? This was still the period of non-chemical dyes, and producing a fast black was always a challenge. Lady Hester’s memoirs mention a time when the Duke of Wellington was so poor he refused an invitation to a ball because his corbeau coat was a disgrace. Thank you for your insightful comment, slam2011! I get the impression that Pitt's blue corbeau coat would have been a very dark blue, verging on black. Is the 1790 description of Pitt at court from a contemporary newspaper? Wonderful! If only more of Pitt's clothing remained. Have you seen the post I wrote about Pitt's frock coat at the Museum of London? Apart from that coat, and a waistcoat at Pembroke College (Pitt's alma mater), I have not been able to locate any extant garments once worn by him. Of course, that's not to say that more aren't still in existence, and simply not identifiable as previously belonging to him. I read the comment about the Duke of Wellington's old corbeau coat in Lady Hester Stanhope's memoirs. I believe he was invited to a ball by a Mr. Bouverie, and declined the invitation because his one suitable coat wasn't in good condition. Pitt also wore a succession of brown coats at court during his later years so that also would not surprise me. In the famous Henry Edridge portrait of Pitt (c. 1801), he is represented wearing a deep blue corbeau coat. It could be the same one. First, that shows how a gentlemen of means, without cause to dandify dressed. It also shows the importance of dress for someone who wanted to set an appearance of dignity, at least I would assume so giving that he was in politics. Would you agree on that? I completely agree. Pitt believed in the importance of public image. Without being ostentatious in the slightest, it seems he dressed the part of a highly dignified politician. In my blog there are various mentions of corbeau coats as supplied by my gggggfr to the prince of Wales. I had never heard of a blue or brown one but the main point is that the dark coloured cloth would be 'shot' or 'clouded' with a greenish or perhaps bluish colour which looked like the sheen on feathers of members of the crow family. It must have been marvellous to see. Thank you for your comment, prinnystaylor! The bill definitely said a 'blue Corbeau coat,' although Pitt was also fond of wearing the colour green. Are there many coats once worn by the Prince of Wales (George IV) still around? I believe that there are one or two in the Brighton Museum and there must be others considering how many were made. They were all auctioned off after George IV's death. I haven't seen any clothes made by my gggggfr myself and a dealer I spoke to hadn't seen any in 30 years of dealing. Shame really. I should have given the reference to the description of Pitt's court dress. Yes it was from a paper, 'The Times' : "Mens Dresses." Times [London, England] 19 Jan. 1790: 2+. The Times Digital Archive. Pitt's clothes sound quite dressy till you read what the PoW was wearing (he squeezed two outfits into the one occasion, one for the Drawing Room and one for the Ball Room). Brown and pink-spotted velvet coat and breeches with a silver tissue waistcoat adorned with a 'a very rich *applica* of silver stones and coloured foils. The Duke of Richmond on the other hand is described tersely as wearing 'a striped velvet and embroidered waistcoat'. Surely he had more on than that? Thank you for this information, slam2011! I presume the occasion on January 19, 1790 was for the Queen's Birthday? You might be interested in Louis Bazalgette's account for Prinny's outfit on the occasion you mention above, Slam2011. Thanks for that, prinnystaylor! The total was significantly more than Pitt's modest total of £41 in a single bill. I would have loved to have seen these outfits. Presumably, the occasion on January 19, 1790 was for the Queen's Birthday? A week later, for the occasion of the Queen’s birthday, Louis made ‘a velvet dress coat & breeches and silver tissue vest & coat cuffs all richly trim’d with a very rich applica, the coat all over the seams and the wais’t all over & all materials as usual (own applica & vest & coat cuffs)’ for which he charged £71/1/9, of which £50 was for ‘embroidering the applica on & making considerable additions to do.’ The cloth used for this outfit was ‘9 yds puce col’d & pink spot velvet’ at 42/- per yard. This Prinny wore to the ballroom. For the drawing room beforehand his outfit was probably the ‘brown & blue velvet dress coat & breeches & white sattin vest, all very richly embroidered, and all over the seams (to be kept till next winter)’ which Louis had supplied at a cost of £197/10/- on 21 February of the preceding year. Nearly eighty quid? There should have been a revolution. Damned journalists get nothing right - 'brown' is hardly the right word for a puce and pink-spotted fabric. Oh, wait. Weren’t they all French there? Yes, many were huguenots who had been driven out of their native France but they were pretty naturalised by then. At least the work was done on London rather than in France. There was quite a drive to have work done locally then. I read in another report that certain Londoners were disappointed when the outfits they had ordered from France were caught in the blockade and confiscated by revenue men. I hadn't seen that particular passage in The Times. It seems to have occurred at a levee. 'William" was the Duke of Clarence, later William IV of course. He was not a lover of things French in the way Prinny was. On his succession he dismissed all of Prinny's French servants. The search engine for The Times online is a bit whimsical - sometimes it will find a word on one search, and then not pick it out on the next. The paper gave the anecdote without any information as to how it was overheard. I was supposing a report by a servant, but your suggestion is more plausible. Is William the one dismissed as 'only fit to walk about a quarterdeck and cry "Luff!"' or was that another brother? That's the feller. I have incorporated the quote in my book since it contains a veiled reference to Prinny's French tailor. So thanks for finding it. It was overheard somewhere - that is all we can say I suppose. I have made multiple Times searches over the years and I agree that we probably miss as much as 50%. I suppose we should count ourselves lucky to find anything in those early editions! Who was the gallant Lieutenant Bazalgette, R. N.? A relative? Yes - my great great great grandfather. Have you seen: http://prinnystaylor.wordpress.com/2011/12/23/naval-derring-do/ ? What an excellent relation, prinnystaylor! Oh yes; I completely agree. One of the reasons I began blogging about Pitt's private life was to present a different side of his character to a wider audience. I wanted to present Pitt as "a new man," by showing facets of his benevolent nature. They (The Times of 1845) gave him credit for being very reluctant to take the country to war, and not ready to sacrifice English lives for the French monarchy. Where he stands now in the estimate of historians I'm not sure, so I shall explore your blog and find out!